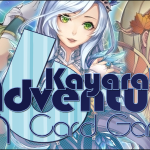 91.8 The Fan » Blog Archive » Kayarath’s Adventures In Card Gaming 5: Showdown At Otakon! 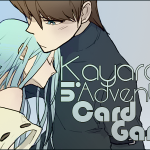 Kayarath’s Adventures In Card Gaming 5: Showdown At Otakon! The Otakon based interviews continue! This time it’s with Erica Gifford, the marketing director of Japanime Games. Japanime Games is a company that focuses on bringing anime flavored board gaming from around the world to your table top! 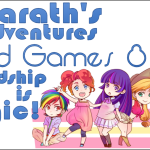 We talk about card games, crowdsourcing, and even My Little Pony! If you like card games, then this is the interview for you! 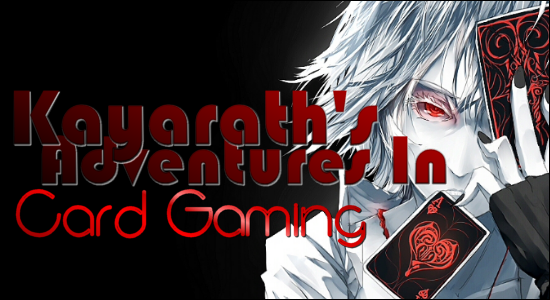 Kayarath: First off, what is Japanime Games? Erica Gifford: Japanime Games is a translator, for lack of a better term. We go overseas to companies that don’t have an English-speaking department. We translate the best games from different countries. We have games from France, from Italy, from China and Japan right now. K: For exposition’s sake, please describe your first title, Tanto Cuore. 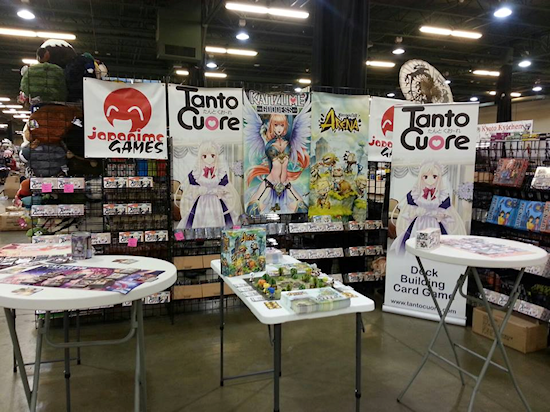 EG: Tanto Cuore is a deck building maid cafe game. The game is designed to be played with two to six player environment and you collect love, for lack of a better term, and play with great heart. K: The base set is currently on its second printing, and the second expansion was recently released. Nice to see there’s demand. How many more expansions are in the works? EG: Arclight really leads the way on that, so that’s really dictated by them. I do know that we probably have at least one more expansion coming. K: Good. Am I the only person who thinks Sainsburry Lockwood is overpowered? EG: (laughter) That’s funny. Your not the only person we’ve gotten that complaint from. K: Genevieve Daubigny is fairly strong too honestly. EG: Yes. I heard that before. We actually had a couple people today who were just like, “What’s up with this character card?” The game is very in depth tested so cards might seem really really really powerful but there are ways to counteract that. K: Yeah. As you were saying, it was developed by Arclight Games, a Japanese gaming company. Can you tell me more about them? EG: Arclight is a really amazing company to work with. They have some impressive deck building titles. Our next one is actually gonna be from Arclight. It’s gonna be up and coming. Expect our Kickstarter to come out in the next sixty days or so. That’s gonna be for Barbarossa which is another title by them. EG: Well, is it in fact about World War II with the Germans fighting to basically kill Stalin. It is a bit of a controversial topic but it’s a fun and light hearted game and it really should be taken that way. K: Fair enough. Is there anything that separates Barbarossa from all the other deck building games out there? EG: Well, you just said it in a nutshell! It is a little controversial but it’s gonna be a lot of fun and I think people really love the art. K: Oh yeah. Anime art is always good. Can you further elaborate on your relationship with Arclight Games? EG: It’s not exactly my department. Our owner Eric Price is the president. He actually goes over and visits with them at least once a year and they present him with some of their best games. We’re really lucky to have that relationship. I would worship her any day of the week! K: Awesome. Your second title is Kanzume Goddess. How’s that working out? 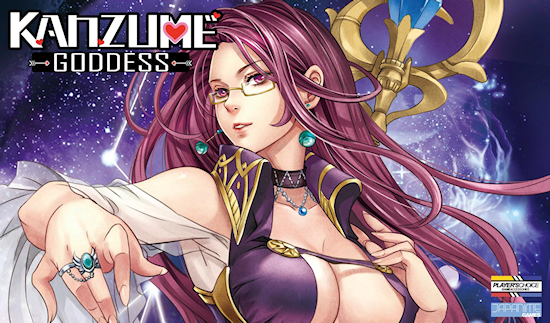 EG: Kanzume Goddess is an amazing game. It’s a lot of fun. It is different from Tanto Cuore because it has a different goal. Instead of going after and gathering the most love from the game like Tanto Cuore, Kanzume Goddess is really about a war between two factions. It’s all about either decimating your opponent or ascending to greatness. K: Yes. I played it and it reminds me of multi player Magic. EG: It has much more of a tactical style/feel to it then Tanto Cuore really does. It’s more of a competitive game, and it’s great for tournament play. K: The company that created Kanzume Goddess is Bianfeng Network Science and Technology Ltd. Can you tell me more about them? EG: To be honest with you, we have such a great relationship with them. It’s very, very quiet. They let us really own the property and enjoy it. They obviously retain copyright to it but they really let us do what we feel we need to do with the title. K: That’s good. You raised the money to get it out with Kickstarter, which you use a lot. It’s all the rage these days. Is running Kickstarters as exhausting as they say it is? EG: It is more exhausting then you realize. To be honest, we had a lot of challenges with our Kickstarters with delayed product. We had massive custom issues with both Kanzume Goddess and KrosMaster: Arena. Kanzume Goddess was unfortunately almost nine months late from a delivery date which was very embarrassing. That was actually part of the reason why Japanime Games hired me was because they did not have a marketing person before me. They’re having such a problem with their Kickstarter that they brought me on board to kinda help really be that connection between our fanbase that supported us on Kickstarter and the games themselves and the company themselves. It’s a great community though. I gotten some amazing feedback on just how happy people are and how much they appreciate the games that we bring to the industry. K: Anime-based board gaming is something that hasn’t really been experienced here. Anime fans really aren’t known as board gamers and board gamers aren’t really known for being into anime. It’s a very unique niche. EG: Yes. We’re really excited about it because it is such a unique niche. It’s really cross genre because the game is very intense, especially if we’re talking about KrosMaster: Arena as a board game. It’s still very tactical; it’s a lot of fun but it still has that great, fun style that anime fans really love. We’re really excited about it’s mass market appeal. K: It does have mass market appeal. It raised over three hundred and fifty thousand dollars on Kickstarter, exceeding your goal by a factor of seven. How did that happen? I assume it was your magic finger? EG: (laughter) No. I wish I could say I was responsible for that but I wasn’t. Mr. Price ran that entire Kickstarter himself up until recently when he handed back over to me. I would say that Ankama is such a strong partner to work with. They have such an amazing fanbase from the Dofus and Wakfu worlds. The Krosmos has such a great fanbase; we even have French backers even though the game is already released in French. Here’s some Krosart for you! EG: Yes; it’s actually funny. If you go into our Kickstarter, even to this day, you’ll actually find from about eight in the morning Eastern Standard to about ten in the morning Eastern Standard. There’s like three or four people from Canada and France that converse all in French. Every morning I always ask for a translation of “the French hours” (laughter). K: (laughing along) What’s your favorite character to play with? EG: In KrosMaster: Arena my favorite character is Oscar Kass. He is a very devious character. One of his spells is actually named “Deviousness” and he auto heals so he steals life; he’s like a zombie. K: Auto healing? That’s always a strong mechanic. EG: It is a very strong mechanic; it’s a good time! K: KrosMaster is also in the form of a video game. And Isn’t there a Tanto Cuore IOS app too? EG: Okay, so this IOS app is not our baby. It is actually Arclight’s baby so I don’t have a lot of information about it; I’m sorry. Because people ask me; I probably get that question at least twice a day. EG: Unfortunately I don’t have much detail about that. K: Awww. But you also have a Lupin The Third game. How does that work? EG: Lupin The Third is actually one of our first games that we came out with. It’s a board game. It’s an Italian game. It’s a little more challenging to talk about; mostly because the game is mostly in Italian. The owners and creators really weren’t looking to have the cards translated so all we did was translate the rules and change the packaging for them. K: There’s an expansion for it. How does that change the game? EG: Honestly, I don’t know a ton about Lupin. Your best bet is actually to talk to Mr. Reasoner about that. K: Didn’t you also run an Indiegogo campaign too? EG: We did. We ran an Indiegogo campaign for Tanto Cuore: Romantic Vacation. It was one of the expansions that came out. It was the last expansion for Tanto Cuore. That when phenomenally well. They were super patient with us because we were behind due to custom delays. The delay on that one was a little bit more interesting. That one seemed from a card change. We when with a different manufacturer and the cards were different. Because the games are interchangeable, we needed to make sure the cards were all the same stock. That caused a little bit of mayhem. K: Since you ran campaigns on both Kickstarter and Indiegogo, that puts you in the rare position of being able to compare the two. How are they alike? How are they different? EG: Kickstarter really has that mainstream pop feel. Indiegogo is much more garage band feel. Kickstarter has more features then I feel Indiegogo has, as far as getting information from your backers, but Indiegogo is definitely a strong forerunner in the industry. K: Have you made any headway in board game competitions? Are people running tournaments with your games? EG: Yes actually. We’re really excited. Gen Con is coming up next week and we have twenty-seven different tournaments going on at the show. About eight or nine for each of our different titles not including Lupin. So we have eight or nine for KrosMaster, eight or nine for Kanzume, and eight or nine for Tanto Cuore including a big thirty two person tournament for KrosMaster: Arena. EG: It’s gonna be a lot of fun. K: Do you know much about the Japanese board gaming scene? EG: You know I don’t to be honest with you. I joined Japanime Games only about nine months ago and I learning a really fascinating industry in translating board games. K: So you don’t know anything about Japanese role playing games either? K: Didn’t your Facebook page have a picture with the Japanese voice actors for My Little Pony? EG: (laughter) Yes. The last time Eric Reasoner, who is the president of the company, went to Japan to visit Arclight he happened upon that exact scene. I don’t really know what happened. All I know is there’s now a picture of that on my Facebook page. It seems she took out that picture, so here’s a cosplay model instead! K: Last question: Where can people go to buy your stuff? 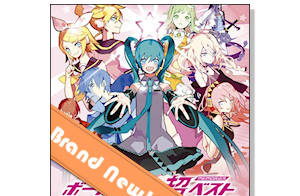 EG: www.JapanimeGames.com is our website. You’ll wanna go there to purchase anything that you want from us. We do some promos from that website. We do about twelve or so conventions a year and any convention we’re not at we use partners such as Foam Brain Games to sell at conventions we’re not at. K: Cool, thank you very much. EG: No problem; was a great time. That sure had a lot of interesting titbits, didn’t it? As always, you can follow Japanime Games on the social network of your choice. You can also expect more reviews of their games from me soon. In the mean time, why not try some of them yourself? Who knows? You might enjoy it!